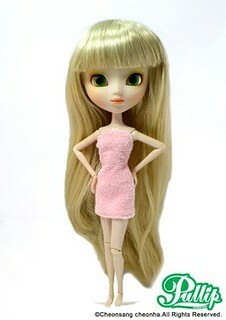 In 2012 a new line of dolls called My Select Pullip was introduced, the dolls were new basic versions of popular previous releases (with maybe some slight differences). They came only wearing a towel and did not come with a stand. They were very affordably priced at $65 and were described as being fun to redress and/or customize so in a way they were kind of a precursor to MIO or Make It Own customization kits. 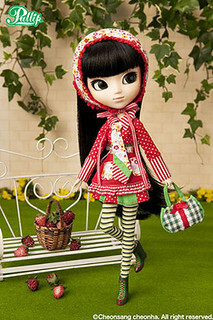 Five different dolls and three different clothing sets were released as a part of the line. 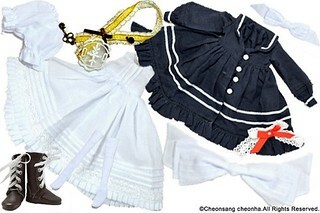 Three outfit sets ideal for the My Select Pullip line were also simultaneously released when the My Select Pullip line debuted in 2012. 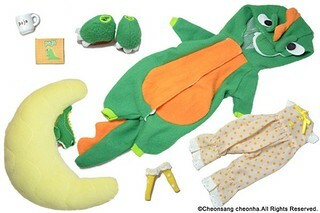 The outfit sets were priced at $25 each and were recreations of stock outfits. 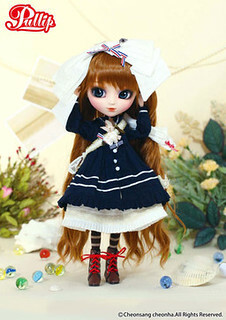 Note: Pullip Clarity’s stock outfit was a curious choice for release as the doll itself was never released as a part of the My Select line. In September of 2013 My Select Pullip Melissa and My Select Dal Frara debuted, My Select Pullip Paja was also re-released at this time. My Select Dal Frara ended up being the only Dal released as a part of this line. 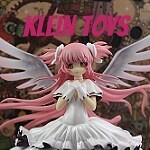 The My Select series of dolls appears to be discontinued as there have not been any news regarding it’s release in quite some time.